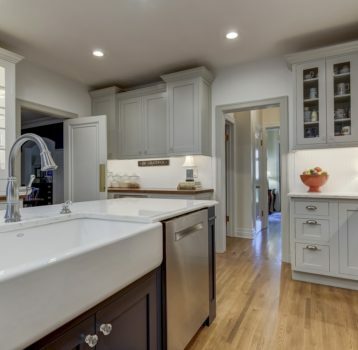 Showplace painted wood cabinetry in Light Mocha and Black, refrigerator depth cabinets as well as a deluxe pantry cabinet, butcher block island, Galaxy Black granite countertops on the perimeter and wide plank wood floors. Travertine tile backsplash and bold crown moulding. 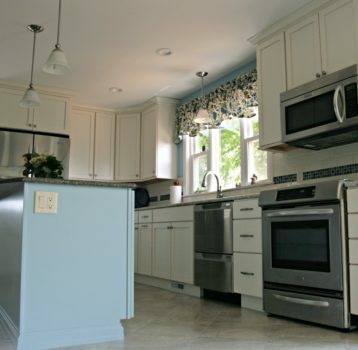 Functionality in a kitchen is always important, but for those who love to cook—it is an absolute MUST! Next on the cook’s list of kitchen priorities is probably adequate storage. 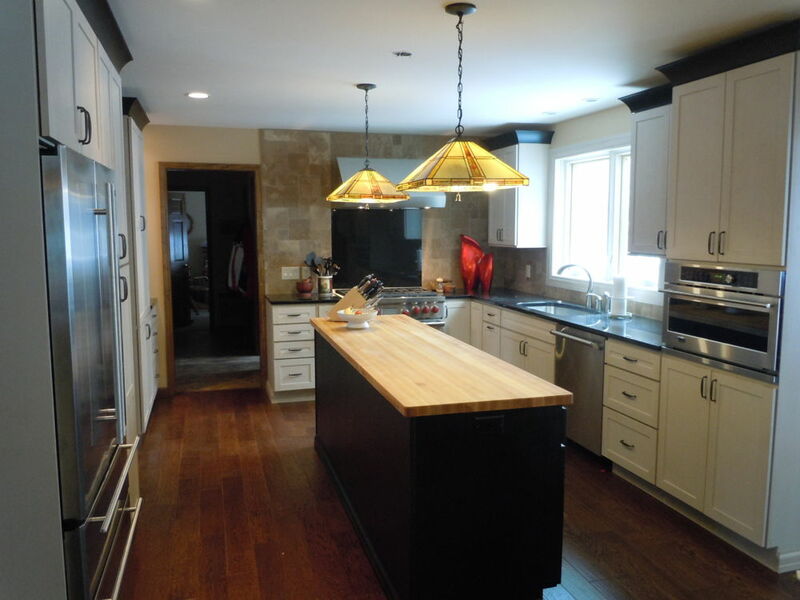 This couple enjoys cooking and loves their home, so making it reflect their dreams and desires was really exciting. 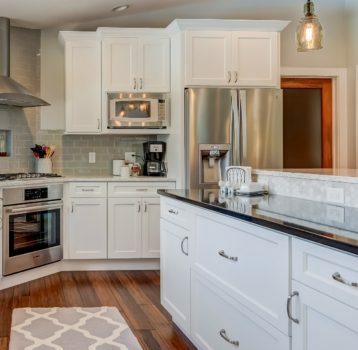 Refrigerator depth cabinets create built in look while providing additional storage, deluxe pantry speaks these homeowners love language with fabulous organization of spices, and the long butcher block island means fun prep space for cooking together.